Heavy duty nice looking nickel plated brass barbs. 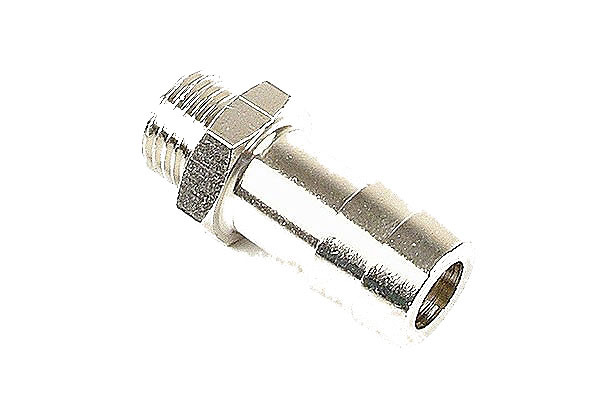 Uses a G1/4 straight thread for connecting to G1/4 water cooling applications such as Alphacool products or our own Mountain Mod Circulator reservoirs. These fittings come with an O-ring seal for water tight configurations without the use of plumbers tape. 3/8" Fitting.